Celebrity Big Brother fans can grab a slice of the action from the latest task by ordering the housemates’ pizza from Domino’s, the pizza delivery expert. The pizza making challenge, aired on Channel 5 last night, saw two teams of celebrity housemates attempt to create a pizza masterpiece while attached to bungee ropes and being squirted with tomato sauce. The winning Celebrity Big Brother pizza is being sold by Domino’s as part of its official eviction night partner deal currently running with the show. The pizza features a star studded combination of pepperoni, pineapple, green peppers and chicken breast strips on Domino’s classic crust with vine-ripened tomato sauce and 100% mozzarella cheese. Order the Domino’s Big Brother pizza exclusively via Facebook for a limited period – simply log onto https://www.facebook.com/DominosPizza?sk=app_256703434362897 and click through to have it automatically added to your basket. Domino’s is official eviction night partner for Big Brother, in partnership with Coca-Cola. Throughout the series, Domino’s will be offering a free 1.25 litre of Coke or Diet Coke on every eviction night with any purchase of a large Domino’s Stuffed Crust pizza. The Domino’s Big Brother pizza is available until Friday 11th November 2011. Available in small, medium and large. 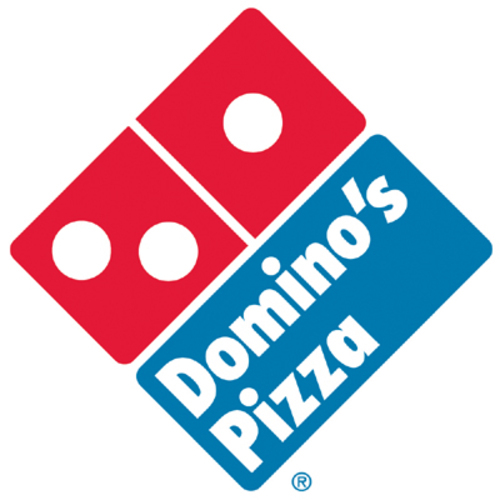 Customers in the UK can order online at www.dominos.co.uk and customers in the Republic of Ireland can order online at www.dominos.ie. In addition, mobile customers can order by downloading Domino’s free iPad, iPhone and Android apps. This press release was distributed by ResponseSource Press Release Wire on behalf of Arena Quantum in the following categories: Entertainment & Arts, Food & Drink, for more information visit https://pressreleasewire.responsesource.com/about. FANCY A BIG BROTHER PIZZA?